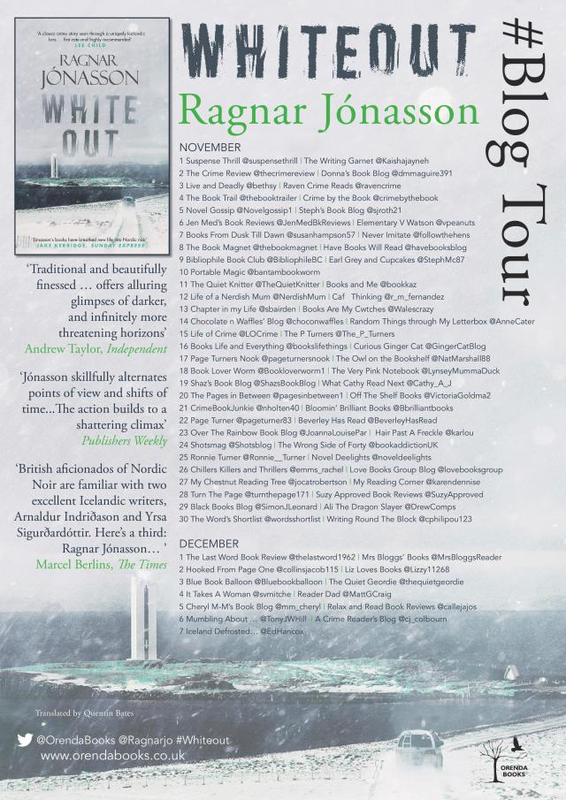 by author Ragnar Jonasson blog tour. With thanks to Karen at Orenda Books and Anne at Random Things Through My Letterbox. 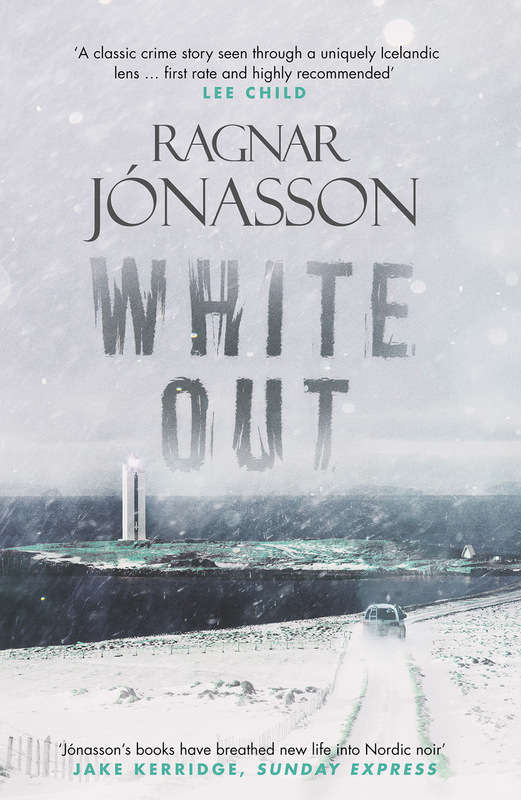 White Out is another powerful triumph from Nordic Noir master Ragnar Jonasson and translator Quentin Bates. With it's trademark policeman, Ari Thor and Tomas, the reader is taken to the dark depths of Iceland to try and get to the bottom of the death of young women, Asta. Once again Jonasson uses imagery and the enigmatic beauty of Iceland in winter to really create an almost physical atmosphere - I certainly wrapped the blanket around myself a little tighter every time I sat down to read. This novel in particular is set in the few days lead up to Christmas, where this year Ari Thor is keen to enjoy it with his beloved and heavily pregnant lady, Kristin. But even Christmas can't get in the way when an investigation gets under his skin and Tomas's eagerness to make an arrest on this case makes him feel uneasy about too much extra digging around. After the second death in the space of a few days however, both men know something sinister is at hand and can not be ignored. Jonasson creates characters so well, and with the group involved, Thora, Oskar, Reynir and Arnor we soon learn they all have secrets they wish to keep hidden. But it seems that at least one person is aware of each others secret and it is impossible to tell who can be trusted or what lengths they may go to in order to keep those secrets just that. 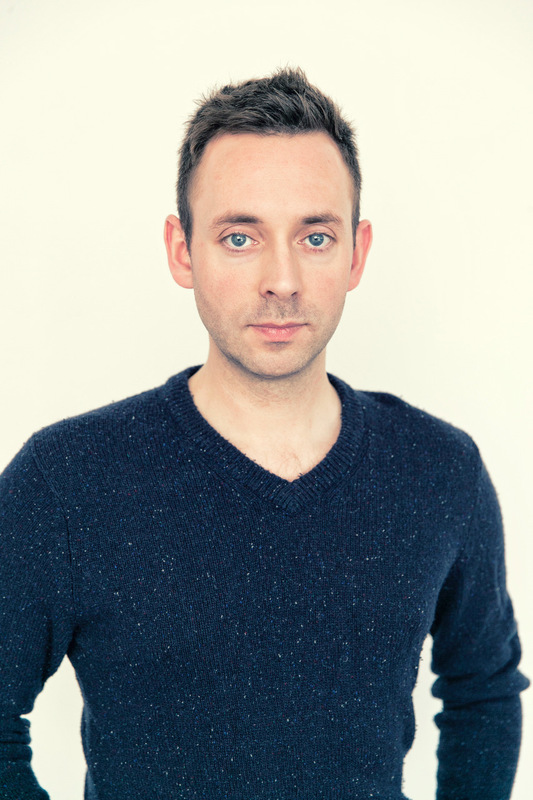 Jonasson never produces just a plain old 'who done it'. It is always multi-layered with a touch of history, personal and paranormal aspects explored. This always makes it impossible to try and guess the ending. 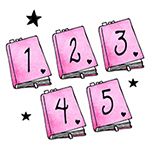 However, whereas some authors do this and then spoil the result by giving a completely implausible and outlandish ending, in these books it never happens. The truth is completely believable and realistic and most importantly satisfying. 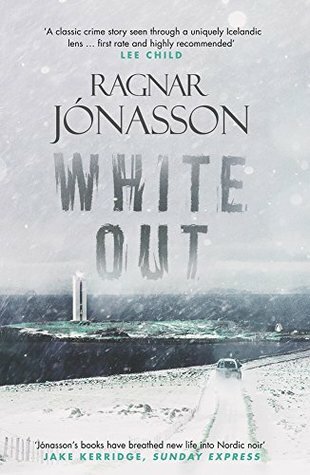 The final pages of White Out leave the reader as hooked as the first few, with an enticing and tantalising teaser and I for one can not wait for the next instalment of the Dark Iceland series.